To Visit our new Site at USBDACS.com please click on the Brick above. A Computer will always be better than even the most expensive transport, just from the virtue of an endless supply of software. When was the last time you receive a software update for your expensive transport? Works with any computer (MAC, PC Windows, PC Linux) with USB, NO Drivers or specific Software required! Modular Battery Power DAC with Directly Heated Output tubes! The Cosecant and the Brick work off the same USB Engine which delivers an I2S data stream to the TDA1543 DAC directly. There is no SPDIF envolved in the reception of data in any of my USB DAC's. Nor is there any provision for accepting SPDIF inputs. The Crimson uses a more intellegent controller that has the capabilities of up too 24/96 operation. The Crimson therefore has an upgradable dac module that has the code to represent that module to it's fullest capacity. This code is updatable if in the future some changes are required. The dac module also runs off of a battery for really low noise and the best possible operation. The battery is charged when the DAC is off or in Sleep/Standby mode. None of these dac's have a power switch. They actually follow the state of the computer. If the computer is off or in Sleep/Standby then the dac is in the same state. The DAC has a single digital USB input (no SPDIF inputs). USB unlike SPDIF is bidirectional and therefore has error correction and buffering on both sides. This happens automatically so the data on the disk is identical to what is going out all the time. Also since this interface is asynchronous the clocking problems associated with SPDIF go away. What happens is... On power up of the computer the 2 devices negotiate services. In this case the Cosecant tells the computer it can do 16 bit audio at 32K, 44.1K and 48K. Since the USB receiver only has to handle these 3 frequencies, The clocking to the separate DAC IC has almost no jitter. SPDIF actually has to be synched to the exact frequency of the transport (i.e. if the transport is working at say 44.0896K instead of 44.1K the dac has to sync to that frequency). Therefore there is no interface jitter like you see in SPDIF. So using USB we have a zero error protocol to link the computer to the DAC and very low jitter what else..... All these USBD DACS are platform independent also OS independent. Any computer that has USB output will be able to hook up to the Cosecant without software drivers. 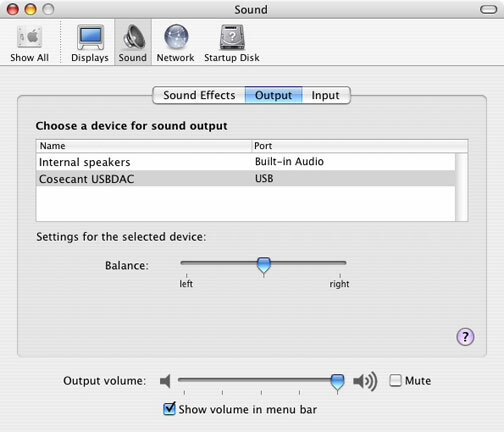 Just select the Brick, Cosecant or Crimson for Audio Output in your system preferences or control panel and your done. Ok so what is the difference between the models? The idea for the Brick came as a fundamental building block for computer audio. 1) Chassis is a heavy cast aluminum Brick looking thing, so the name. The Cosecant is a wood and aluminum design by David Evett. The Ultimate is a wood and aluminum design by me with solid ebony front plate with hand inlays by Craig Lavin. 2) Power supply for the Brick is a high quality custom wall wart. The Cosecant uses a hand built wall wart with Black Gates, Linear Technology Regulators and other fine parts. The Ultimate is a seperate unit with custom PCB's many Black Gates, many Linear Technology regulators, optional battery units, well you name it. The Ultimate is a semi-custom product so it can be much more than a stock unit. 3) The Brick uses 12AU7A tube in a reactor output, instead of the Parallel Feed Transformer Coupled output used in the Cosecant and the Ultimate. All products use custom MageQuest magnetics. 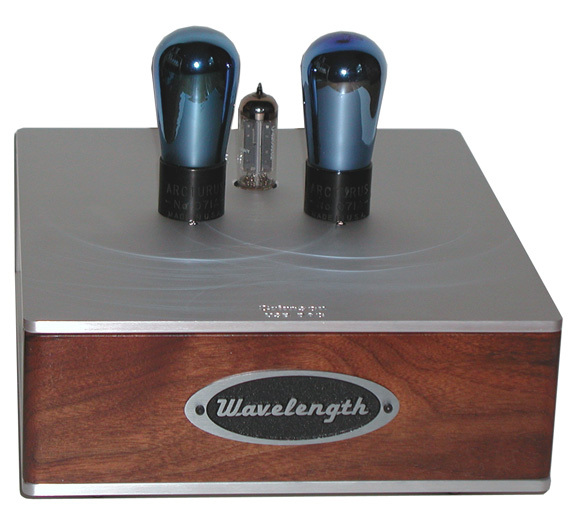 4) The Cosecant and Ultimate use the multibit dac at the best sonic voltage. Both the Ultimate and Cosecant have gain after the dac. The Brick does not for that reason the voltage on the multibit dac is 25% higher. Also on the Ultimate a custom PLD is used to multiplex the SPDIF inputs and provide a secondary PLL for the SPDIF so the jitter specification matches the USB before outputing the serial stream to the multibit dac. 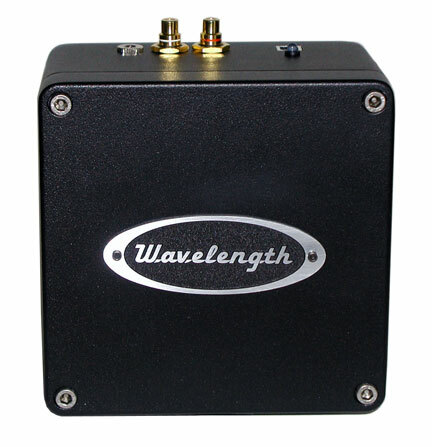 All the models use Black Gate capacitors as the price goes up the units use more and better quality. 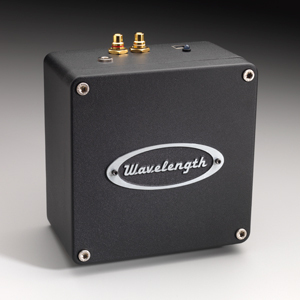 Sonically the Cosecant and Ultimate are about 2-3dB louder than the Brick. The Cosecant and Ultimate are more tonnally neutral than the Brick. Since the Cosecant and the Ultimate are transformer coupled it provides better drive which means interconnects will have little difference in the overall sound. The Ultimate does also have SPDIF inputs with secondary PLL and a complex PLD to integrate and switch between the USB and SPDIF signals. The Ultimate is just that and is much better than the Cosecant and down the line to the Brick. Understand that the Ultimate is a custom product for those people wanting the very best or something in particular. The Crimson has several things going for it that the Cosecant and Brick do not. The use of modules allows the Crimson to be upgraded to any platform a user may want. The use of batteries to supply power for these is also huge. But the use of directly heated triodes is by far the most richest of reason's why the Crimson sounds the way it does. But in general all of these products are exceptional in their presentation and true to the music. Brick MSRP $1750, Cosecant MSRP $3500 Silver $10,000 USD, Ultimate DPU $11,000 Silver $17,500, Crimson $7500, Silver $15,000 other options, please visit the Retail Price Page. Software Setup Information, constantly changing, constantly upgraded, stop back often! #1 YOU MUST MAKE SURE ERROR CORRECTION IS SET BEFORE YOU RIP (copy) ANY MUSIC TO YOUR HARD DRIVE! If you have not all the music in your library is flawed and must be redone. You may want to make sure that your Sound Effects get set to the Internal Speakers or all your alarms will go through your stereo also. Start->Control Panels->Sound and Audio Devices (or Multimedia) and select as your audio output either Cosecant or USB Composite Audio Device. 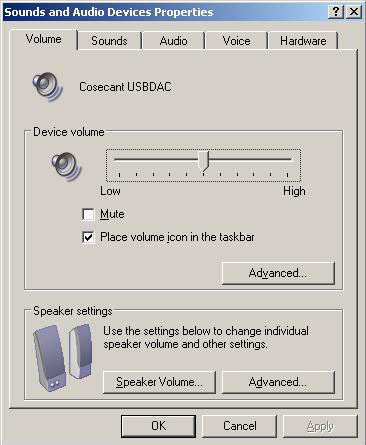 You may want to set the Sounds panel to no theme so that computer sounds will not go through your stereo system. Note that the Volume on a PC is at 50%, this is where it is suppose to be. More and gain will be multiplied to the sample, less and it will be subtracted. The big problem with any computer and audio CD's is that for a long time when a track is read and there is an error, the errored data was either written to the hard drive or outputted to the sound system. Luckily they have realized that the quality of output with errors in the data can be very poor. Make sure you look at the below setups for details on how to set error correction on reading audio CD's and also on burning them if you are interested in that. Specific Setup Information is included below in their respective links. Use the CD drive as a transport and play CD's. Use your hard drive as a media storage unit. Stream internet audio, FM stations, Podcasts, Movies. Use your computer hooked to a large monitor to watch DVD's through your stereo. Ok now for the questions on how and what to buy for the computer. There are several companies making low noise PC's. The New MAC G5's are quiet and the iBook line has no fans at all and therefore are a good choice. Not that the fan get's into the sound of the system it just can be a little annoying as far as background noise. For PC's your best bet in a desktop is the HUSH line of PC's. I have the MINI ITX and it is very quiet operation. Also the Shuttle line of computers has a fanless PC. The nice people at Logic Supply have a number of fanless PC's and sell the Hush Line in North America. What about external hard drives for Library storage? It is best for Apple products to use a Firewire drive. For PC's USB 2.0 type drives would be your best bet. There are many available I am sure some of these are fan-less so look for those. Most of the newer PC's are USB 2.0 compatible (as some of the new MAC's are also). It is best I would think to place the USB drive on a different port than the Cosecant. I do suggest Airport or WI-FI (802.11B/G) interfaces as the computer will need internet access to get song titles. A CD does not carry this information on it so all these applications get the song titles and other information off the internet. I would think 802.11B/G would be better setup and more convenient than 10BASET 10/100. External Hard Drives.... Ok there are some great prices on USB 2.0 and Firewire Drives. Some of the drives are noisy and some of the power supplies are also. The 2.5" drives can run off the power supply of the computer and are nice. They have released versions up too 100M in this size. You can make your own by buying a 2.5" drive off eBay and then buying a kit from macally.com. Things are just getting better and better.... Remote You Say! Salling Software Clicker Palm or Bluetooth enabled phones.... Look at this software it's like having a remote screen for MAC's and iTunes! Here is a review with a better understanding on how it works. Well basically it has 2 parts, it installs as a System Service (access through System Preferences) and then the Palm side (or Phone). Best $20 I ever spent! Or if you want a conventional remote then here is a great little unit that works with both MAC's and PC's. Keyspan Digital Media Remote, comes with a 17 key remote. Ok so you want to use a Mac Mini as a server and don't want to put a monitor on it and stuff. Well the Salling software will let you do everything including putting the Mini to sleep... But you will need some kind of USB or Bluetooth Keyboard to wake the damn thing up. Also there are several remote programs available to do access to iTunes and other functions of the Mini on a Remote basis. Do note that most of these require 802.11 (Airport, WIFI) to accomplish this. Salling only requires Bluetooth. Chicken Remote Desktop if you have Tiger enable Remote Desktop in the MINI (System Preferences-> Internet & Network: Sharing). Then you can use Chicken to control the MINI including iTunes and other programs. Apple also has a remote desktop though it is not free. With the advent of the Airport Express with AirTunes has come several remote control iTunes programs. Some better than others will report on that soon. Since you will need more storage for your MINI, this product by MicroNet looks promising miniMate, or the new LaCie mini Firewire drives. Why the Cosecant, Brick, Ultimate will not work with the iPod? Basically there is two parts to USB called Start Point (USB Host Controller) and End Point (any USB Device). 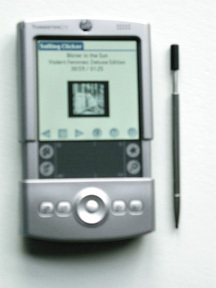 Both the iPod and any USB DAC are End Points. You basically need a Start Point to control whatever and End Point does. Therefore the iPod (not being a Start Point) is why it cannot control and send data to the USB DAC. USB is limited to 16 bit data and 32K, 44.1K and 48K data rates. Higher data and sample rates would require Firewire or USB 2.0, which there is no specification for either at this time. Custom products are capable of this, but really if the data is 44/16 who cares. You can use the computer to control VOL, BAL and Equalization. I don't suggest this since then the computer would use it's processor to vary the data output (i.e. VOL out = Original Sample/gain). 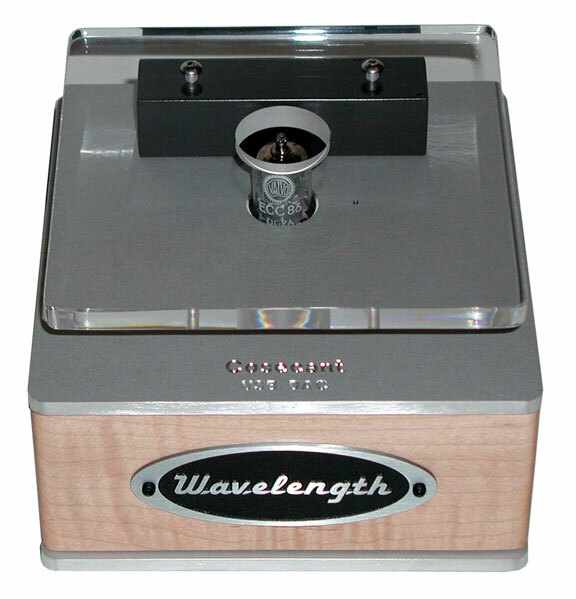 For the best sonic results put the VOL at full and balance at center and turn off the equalizer. A more expensive computer does not mean you get better Audio out of the Cosecant! It may mean that you get a larger hard drive which means more songs but the best bet is do what I did and buy (iBook G4 in my case) a good computer just for your stereo. Heck my transport cost almost 2x what my computer did and look it's a better transport. I do suggest getting a computer without a FAN. This makes it much quieter as far as ambient sound. If you have more questions please give me a call or an email. Copyright 2005 Wavelength Audio, ltd. All rights reserved.